UP EURO (Euro-Filipino Understanding and Relations Organization) and UP Círculo Hispánico, together with The Spanish Embassy in Manila and Instituto Cervantes de Manila are inviting you to watch classic Spanish films at UP Film Institute (Cine Adarna) dubbed as Peliculas Para Todos on November 8-9, 2011 at 5pm & 7pm. All films have English subtitles. 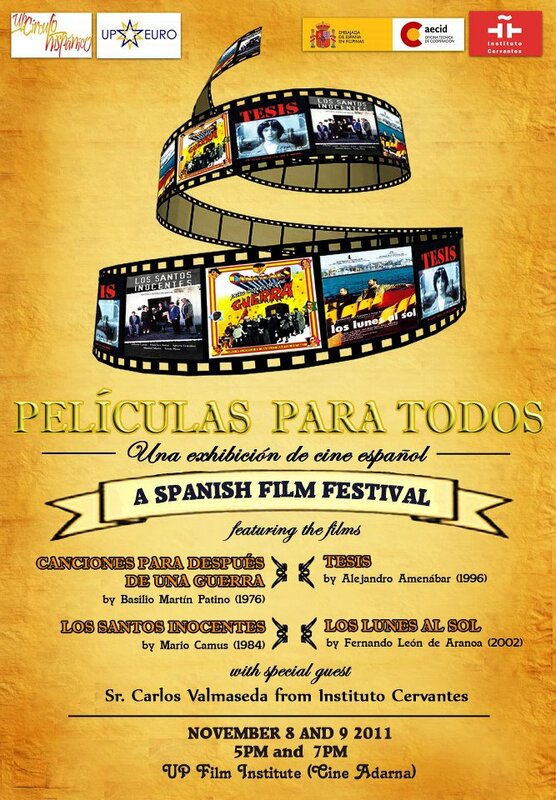 There will also be a forum with Señor Carlos Valmaseda before and after the films. FREE admission.